Lasers make it possible to perform high-precision, needle-free, and often painless procedures. The technology works to eliminate unwanted hair, smooth and resurface skin texture, erase irregular pigmentation, tighten skin laxity, and diminish acne. At Dermatology & Aesthetic Center of El Paso we treat a wide range of dermatological problems with lasers to give you healthier, rejuvenated skin. We are very pleased to provide our patients with state-of-the-art laser technologies by Syneron™. We utilize elos™ Technology with these systems. It is the first and only technology that uses the power of optical energy (either laser or light) and bi-polar radiofrequency at the same time. These two energies work together and allow for safer treatments on all skin types, compared to conventional lasers and intense pulsed light, IPLs. Laser Treatments for Acne in El Paso The superior elos™ system gently and effectively eliminates acne at the source. It combines blue light and bipolar radiofrequency. The energies precisely target acne bacteria, slow oil gland production and heal existing blemishes. This treatment aids active acne as well as acne scars. Using Sublime™, we can achieve tight, firm skin. This is done without surgery or painful intensive conventional laser treatments. It is ideal for targeting the signs of aging. It is proven effective for jowl and neck laxity, puffiness around the eyes, sagginess at the brows, wrinkles around the mouth, and nasolabial folds. The results can be accomplished on all skin types and ethnicities. This procedure requires little to no recovery period. We use the Syneron Systems at Dermatology & Aesthetic Center of El Paso to achieve new standards of speed, safety, and efficacy in hair removal. We are even able to remove minimally-pigmented hair colors. 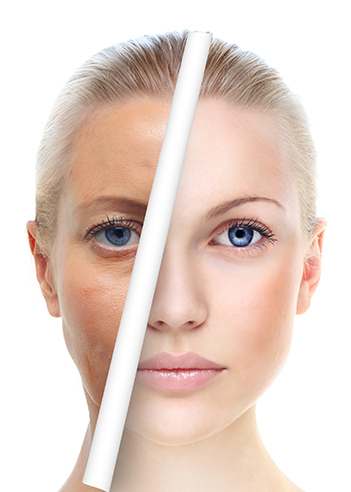 Our physicians also help patients with all skin tones and ethnicities. The hair follicle is terminally disabled and denatured. The advantage of our system is that it enhances patient comfort, convenience, and satisfaction. This complete skin program provides immediate, visible, and long lasting results. It is a treatment in three steps, performed one after the other during the same office visit. With the Triniti Plus skin program, the skin receives an all around treatment. Color correction, skin tightening, and focused dermal remodeling can all be achieved in a single session. The Fotofacial RF targets both vascular and pigmented lesions for skin rejuvenation. The Sublime™ stimulates long term collagen creation. It also causes tightening of existing collagen fibers, giving an immediate firmed appearance. The Sublative™ fractional applicator delivers more focused energy to target sub-epidermal and dermal zones. This promotes fast collagen renewal and remodeling for a smoother appearance. If the appearance of small red spider veins on the face or lower body have you trying to cover up, rest assured, it can be treated. elos™ uses bipolar radiofrequency and light energies to target and heat the unwanted vein while still protecting the surrounding skin. Many patients see improvement even after a single treatment. Each patient is different, so the number of treatment sessions will depend on the extent of the vascular lesions. Maximum results are usually achieved with three to five treatment sessions. Unlike surgical alternatives, this is a no-downtime procedure. Many patients return to normal activities immediately after treatment. Our Sublative® applicator with elos™ Plus creates deep thermal heating needed to both contract and generate new collagen while protecting the skin at the same time. The selective heating within Sublative thermal bands allows surrounding tissue to remain undamaged. This service promotes quicker healing and minimizes downtime. It is the ideal resurfacing treatment for any skin color and with minimum downtime. With the combination of energies using IPL and bipolar radiofrequency, our physicians can safely fade the appearance of many skin conditions. These include rosacea, spider veins, marks caused by sun damage, and age spots. They can treat uneven skin tones created by brown and red spots as well. These highly selective light energies are absorbed by the hemoglobin and pigmented marks, but not significantly absorbed by the normal skin.